9 action-packed, over-the-shoulder bowhunts in this 70 minute DVD. 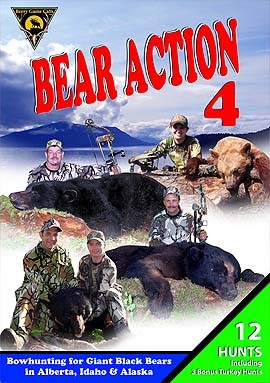 Item # BA4DVD – Join the Berry Game Calls Hunting Team as they bowhunt for black bear in Alberta, Idaho and Alaska. Witness some of the largest black bears ever captured on film. Watch 9 action-packed, over-the-shoulder bowhunts in this 70 minute DVD.